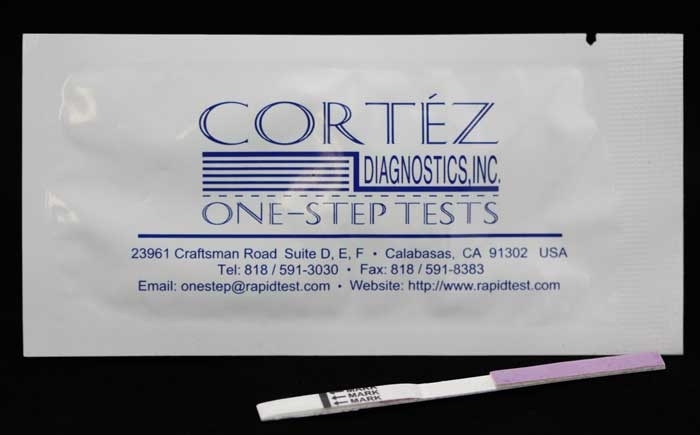 Los Angeles-based Diagnostic Automation/Cortez Diagnostics, Inc. offers a OneStep Serum/Urine Combo RapiDipâ„¢ InstaTest HCG Pregnancy Test Kit (5mm strip). 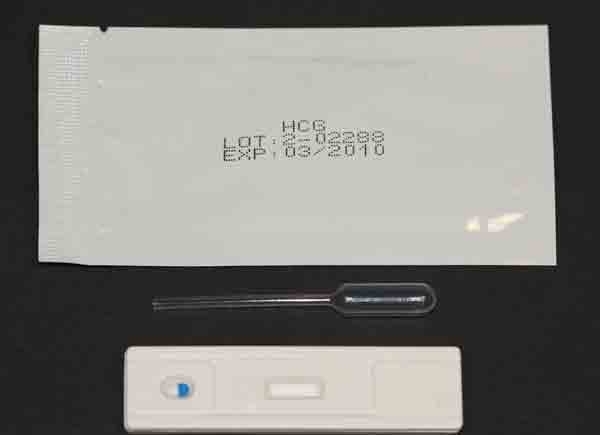 Pregnancy Test Kit is used for the determination of hCG (Human Chorionic Gonadotropin) in serum/plasma or urine specimens.Â ï¿½ There is an appearance of hCG in both urine and serum soon after conception, and its subsequent rapid rise in concentration during early gestational growth.Â ï¿½ This Pregnancy Test Kit is used to obtain a visual, qualitative result for the early detection of pregnancy. 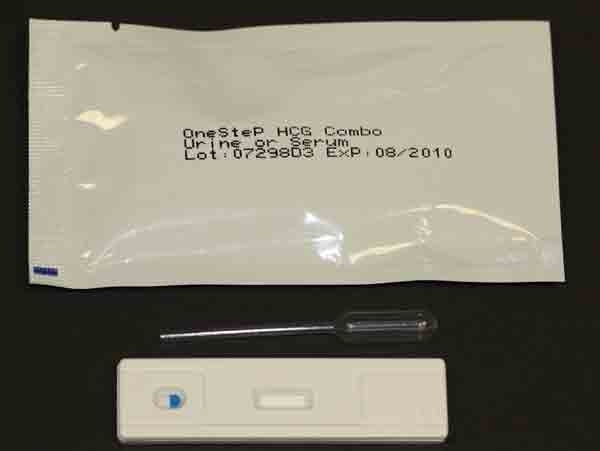 A urine specimen for this HCG Rapid Test must be collected in a dry and clean container.Â ï¿½ The first morning urine specimen is preferred for this Pregnancy Test since it usually contains the highest concentration of hCG; however, urine specimens collected at any time of the day may be used for this pregnancy test.Â Serum or plasma must be separated from blood on the pregnancy test as soon as possible to avoid hemolysis.Â ï¿½ Use only clear, non-hemolyzed specimens in this pregnancy test. Along with this Combo Urine/Serum HCG Rapid Test (5 mm strip), Diagnostic Automation/Cortez Diagnostics, Inc. offers various pregnancy tests to fit any customer's needs.Â ï¿½ Two other combo HCG Test Kits include:Â ï¿½ Combo Urine/Serum HCG Rapid Test 3.5mm strip, and a Combo Urine/Serum HCG Rapid Test - cassette format.Â ï¿½ Additional pregnancy test kits for clinical diagnosis or pregnancy test at home:Â ï¿½ Midstream Urine HCG Test Kit and a Urine HCG Test Kit (both in cassette format), a Urine HCG Rapid Test 2.5 mm strip, a Urine HCG Rapid Test 3.5 mm strip, andÂ ï¿½ a Urine HCG Rapid Test 5mm strip.